#TGfU Games PE – Case Studies!!! Users of TGfU Games PE – I’m calling you out! If you’ve enjoyed the app, I would love to hear from you. I want to find out how you’ve been putting the app to use in your physical and health education classes or in physical activity settings in general! I’m looking for case studies and would love to feature your post on EducationIsPhysical. 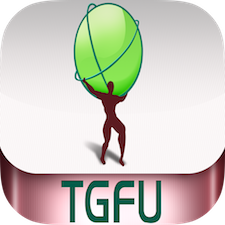 Additionally, I would love to see TGfU Games PE in action with pictures and videos of your students partaking in some of the fun-filled games and activities! In regards to videos, I would love to feature your clips on my YouTube channel if given your consent. Please send “case study” submissions directly to my email at n_stratigopz@hotmail.com. Thank you in advance to such a great community of professionals!